Michael Scullion, Desktop Products Manager at the Property Registration Authority reviews NetSupport Manager, the remote control solution from NetSupport. 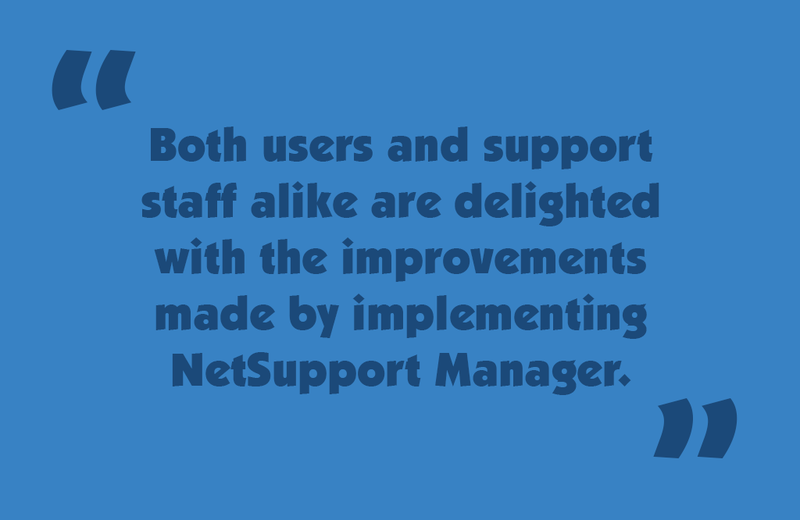 Michael explains “We have six separate office locations across the country and, before we installed NetSupport Manager, it was difficult to support them all as well as we wanted to. We really wanted to find a reliable solution to connect to each one securely; one that would allow us flexibility in terms of the functions we could carry out. Overall Michael Scullion concludes that he would recommend the solution to other organisations.